Time is running out for the Lytton Bank. 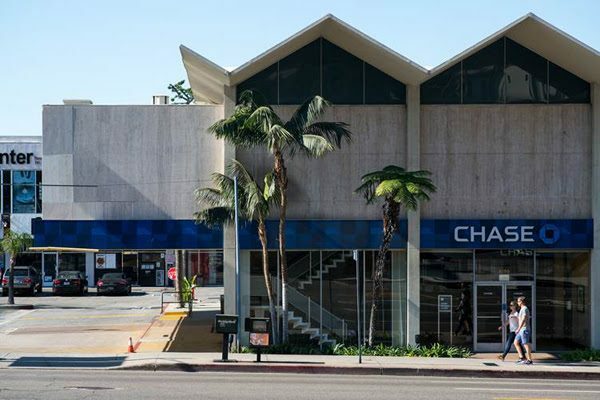 With the stay of demolition set to expire on April 30, preservation activists have so far been unable to find a new location for the historically designated, Mid-Century Modern bank building located at 8150 Sunset Blvd. That means, the wrecking ball could hit the building as early as May, unless the stay of demolition is extended. That’s why preservation activists appeared before the City of Los Angeles’s Cultural Heritage Commission on Thursday asking for another six months. Meanwhile, property owner Townscape Partners, which plans to construct a multi-building, retail-residential complex on the southwest corner of Sunset and Crescent Heights boulevards by demolishing the Lytton building (now a Chase Bank) and accompanying shopping center, urged the Commission not to extend the stay beyond April 30. In fact, Townscape asked the Commissioners on Thursday to lift the stay of demolition immediately, but they voted against that. 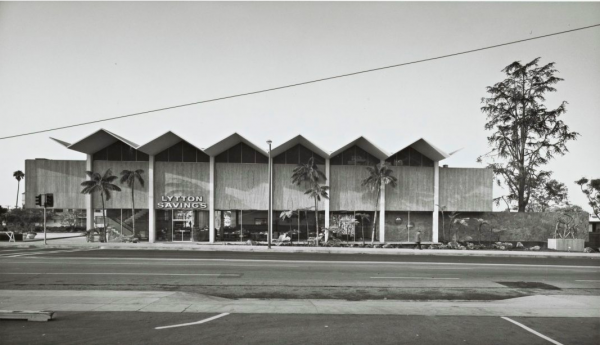 The Lytton Savings building (now a Chase bank) at 8150 Sunset Blvd. The Cultural Heritage Commission issued the initial 180-day stay of demolition on November 1, 2018, but cannot issue another 180-day “stay extension.” Only the full 15-member Los Angeles City Council can issue that second stay. The Cultural Heritage Commission can merely recommend the L.A .City Council extend that demolition stay, based on tangible evidence that a “preservation solution” is in the works, (i.e., a new location for the bank has been found). Ideally, that tangible evidence would be a letter of intent from a group or individual saying they will take the building. Without such a letter, it will ultimately be up to Los Angeles City Councilmember David Ryu, who represents the district in which the Lytton Bank sits. If Ryu favors extending the demolition stay, his fellow council members likely will grant it. On issues affecting a single council district, the Council typically defers to the council member representing that district. Preservation activist Luftman questions why Townscape is in such a rush to demolish the Lytton building and the accompany shopping center, which houses a McDonalds among other businesses. Townscape told the Commission on Thursday that it does not have its building permits in place for the project yet. Designed by renowned architect Frank Gehry, plans call for the project to have 229 residential units and 65,000 square feet of commercial space. Townscape declined to respond to WEHOville’s inquiries about the demolition and construction plans. The Commission also questioned whether Townscape has given the Chase bank (which currently occupies the Lytton building) a date to be out of the building. Many bank customers still have savings deposit boxes at the bank, so Chase can’t simply close on a one-day notice. It has to provide customers with sufficient notice of the closing. Townscape told the Commission it has a confidential agreement with Chase and did not elaborate any further. WEHOville’s calls to Chase Bank’s corporate communication department in New York to verify were not returned. Luftman also points out the many construction projects fall apart before ever breaking ground due to lack of financing or other factors. While Townscape seems to be well financed, he sees no reason for the wrecking ball to hit the building too early. “It would be a real tragedy if they tear down the building and the project falls apart later,” Luftman said. In January, a feasibility report showed it is impossible to move the Lytton building intact due to its size. Sunset Boulevard is only 70 feet wide at its narrowest point, but the building is 78 feet wide, plus its roof extends to 102 feet. The feasibility report showed the building could be moved in pieces by cutting it into four or five sections, but that would be cost tens of millions of dollars, depending on how far trailers have to move it. Cutting it into sections would also jeopardize its historic integrity. Luftman, who spearheaded the Friends of the Lytton Savings preservation group, reported there were discussions about moving the building to Palm Springs, a city known for its many Mid-Century Modern homes and commercial buildings and which hosts a Modernism Week every February celebrating those buildings. However, nothing ever came of those talks. He also met with West Hollywood officials about moving the building to the city-owned vacant lot at the southwest corner of Santa Monica Boulevard and Crescent Heights, but city officials had no interest in that idea. Luftman notes that the feasibility study for moving the building was promised in November 2016 when the Los Angeles City Council approved Townscape’s project. However, the study was not released until January 2019. 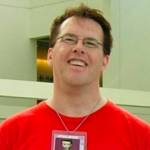 Since he now has the details of what moving the building would entail, he can have serious talks with people or groups, but essentially has only had two and a half months to have those talks. Townscape noted in a letter to the Commission that it has advertised the building for sale on several preservation websites and several articles have been written in architectal magazines. So far, no one has expressed interest in buying the building. The feasibility study suggested the most viable and technically feasible solution would be to remove the building’s several dozen character-defining features including the zig-zag roof (which was prefabricated in panels before being attached and therefore is easy to remove), art work and travertine veneer and then reinstall them in a newly constructed building. Architect Kurt Meyer’s original plans for the building are available, so an exact replica could be constructed and the salvaged features could be assembled into the building as it is being constructed. Salvaging portions of the building would cost of $15 million to $18 million according to the report. The construction costs of building an exact replica are unknown. However, the historic integrity of the building would be completely lost by using this option. The Lytton Savings building was designed by noted Southern California architect Kurt Meyer. The highly praised mid-century-modern concrete and glass building with its zig-zag folded plate roof, glass walls and interior art work offered a radical architectural departure from traditional staid bank buildings when it opened in 1960. The Los Angeles City Council designated it a historic site in 2016, shortly after the Council also approved Townscape’s plans for the retail-residential project. The 8150 Sunset Blvd. site is also the location where the famed Garden of Allah hotel complex sat for almost 40 years. The Garden of Allah buildings were demolished in 1959 to make way for the Lytton Savings building and shopping center currently on the site. Why do we need another ugly multiuse shopping mall in West Hollywood anyway? Like, there aren’t enough of them? Let it go. It’s inevitable. I just don’t want that property to sit for years waiting on demolition like so much of our city. Donate to West Hollywood to erect it on the ugly vacant lot at Santa Monica and Crescent Heights Blvd. Also …..Change Gehry’s goofy design.,,,,He was just a front for the developers who got away with an oversized development. Tear down the whole eyesore. Where were the preservationist when the garden of allah was town down? If they want to save every ugly building they should raise the money to buy them and find a use for them. Knock it down, you’ve had plenty of time to find an alternative place to move it. It can’t easily be moved, or its too expensive. Whatever the excuses. It’s over. Move on and let’s get this exciting new development going. I love historic buildings. this one is not a crucial part of our history. Save what you can and put it in a museum but overall it’s just a damn building. Get over it. There’s a great article in LA Magazine that has a ton of history and photos. google it. I suppose that if some deep-pocketed fool wants to throw away $15-20 million of their personal funds on trying to move it to the Coachella Valley, that’s their business; but I wouldn’t waste one more dime of taxpayer money—here OR there; nor extort/compel the developer of this site to do so for this fools-errand simply because this rather ugly building was designed by a “noted” architect. In either case, money that would be wasted to try to save/preserve/move/rebuild this could be much better spent on housing—whether public OR private. And where tax dollars are concerned, I can think of any number of more worthy & needed uses; ranging from afore-mentioned affordable public housing, to transportation infrastructure as our city prepares to pony up our share for MetroRail, or to paying down debts already incurred on the $100 million WeHo Park project & underfunded generous employee pensions. I had no idea until this article the building had any Architectural significance. I just assumed we were saving it because my friend Jeff Stryker banked there. Exactly. The current strip mall is a blight. I can’t wait for it to go. While this bank is the one bright spot, I don’t see it worth preserving or moving. The Garden of Alla should have been saved, but not the current structures. The additional housing and aesthetic improvements make this a very attractive development. While I agree with you that this is not worth saving, it is also worth noting that this is in the City of Los Angeles, not West Hollywood. It is their decision, and they aren’t going to re-allocate any funds towards a park (West Hollywood Park) not within their city limits. Nor are they going to pay attention to West Hollywood city employee pension funds. Looking at the 8150 Sunset development image I quote architect Frank Gehry who stated: “98 percent of modern architecture is shXt!” And that certainly applies to his new addition to the Sunset Strip. This is when you could use those WEHO billboards to cover up this monstrosity. Palm Springs would most likely welcome this magnificent structure and the city probably has an available lot that could showcase this classic MidCentury masterpiece. I am all for preservation as this is a stunning building. It’s unfortunate it cannot be incorporated into the design of the new center by the centers famous architect. A true talent should recognize its importance and incorporate it. Can you imagine his distain when his buildings are deamed uncecessaey and in the way of progress in 40-years? I say tear it down May first . The whole corner is an eyesore. I look at it almost daily from the second floor of crunch gym. I would rather see an empty lot for a year than what’s there now. Does the bank building even have any historical or cultural value other than it’s design which is not that attractive? I believe that the time and energy put into saving that building could be used for something more important. I’m looking forward to the new beautiful project. It really was gorgeous and futuristic in its time…but it will be impossible to bring the totality of that same aesthetic back as the circumstances and lack of space on that lot today prevent it. Those tens of millions of dollars could have gone to building more housing and/or supportive services and housing for the homeless.